Breakfast club is available from 7.45am-8.55am. in our playcentre space. 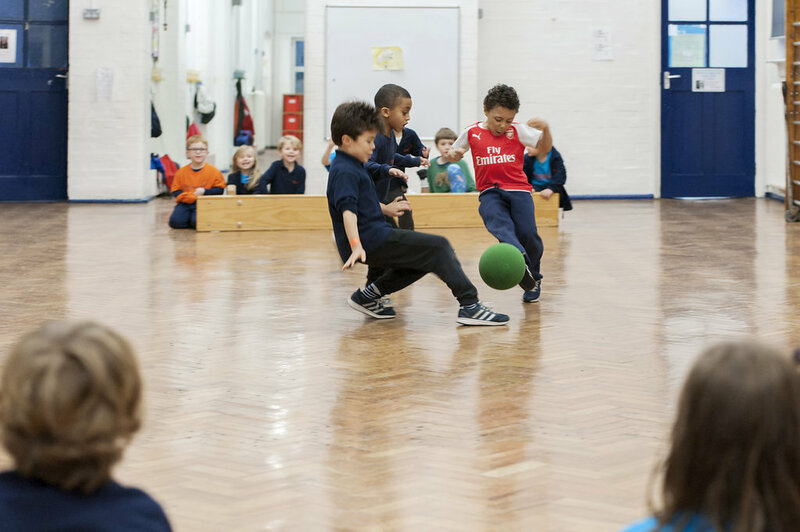 It is operated in conjunction with Team Kick Start, our specialist sports coaches, who teach every year group in the school and are therefore well-known by the children. We provide breakfast and enjoyable activities that ensure the children start school ready to learn. Parents and carers can book in advance at the school office. We have an extensive range of clubs on offer to Canonbury children aged 5 and over. Clubs run for 10 weeks and are paid for in advance. They run directly after school until 4.35pm. The School Office produces an application form towards the end of each term. Parents can then apply for places at clubs for the forthcoming term. Playcentre is open from 3.30-6.00pm every day, catering for children from 5 years old to Year 6. It is run by Canonbury staff. We provide a range of indoor and outdoor play activities and a substantial, healthy snack. Children who attend clubs can also go on to playcentre afterwards, at a reduced charge. Parents wishing to book a place at playcentre need to do so in advance via the school office. We operate a first come first served policy and have limited spaces. If Children are collected late from playcentre, parents may be charged a late rate of £5.00 per 10 minutes beyond 6.00 p.m.